It is always sad when someone dies and even more so when they have our lovely breed and we need to find new homes for the dogs. This has been the case in the last year. 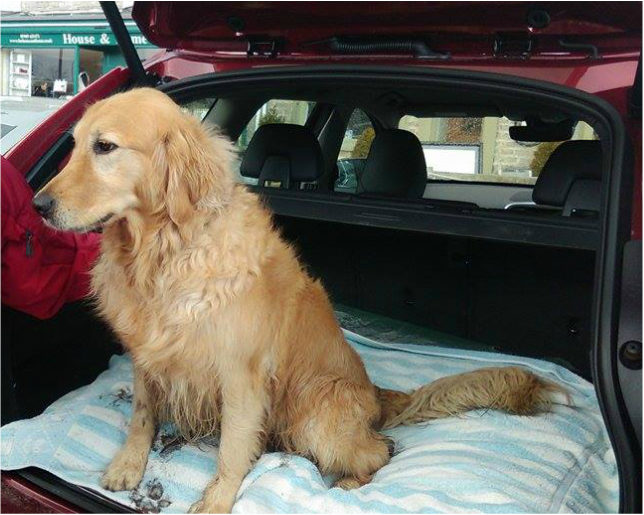 In November 2014 a lovely gentleman was diagnosed with cancer and when he went into hospital, put his two golden retrievers into kennels with the request that, should he not recover, they be re-homed, if at all possible, together. Sadly the gentleman lost his fight in February. We were contacted by the kennel owner and the search was on for someone to take these gorgeous girls. We were fortunate to have heard from a lady who had recently lost her 15 year old golden. She visited the kennels, fell in love with the girls and wanted them both. As you can see from the photos these girls are now enjoying life once again in their new home. We were told of a young golden who was "escaping" whenever a door or gate was opened and sometimes not returning until the early hours of the morning. The owners were concerned, not only about the many hours they had spent searching for him, but also that he might cause, or have, an accident. He has now been successfully re-homed. Again his new owner had recently lost his beloved companion. 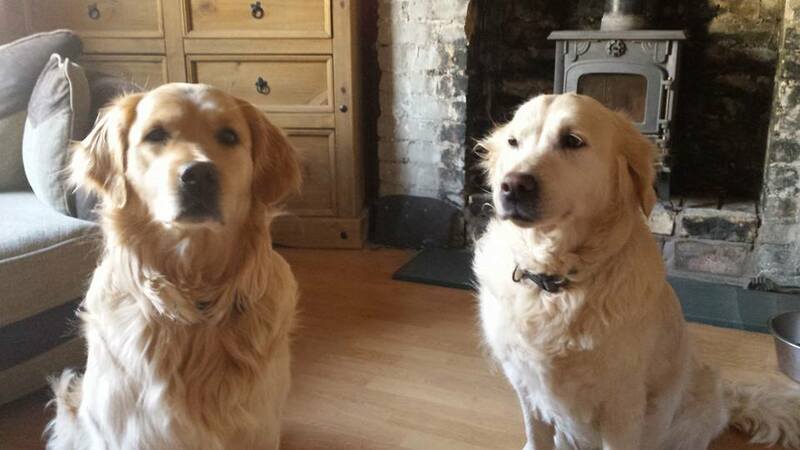 Our last story, was due to a bereavement where two goldens needed re-homing. Due to the owner losing her fight for life, we needed to take the dogs from their home and temporarily place them in kennels. A lady who had previously owned golden retrievers took one look and did not want to separate these two boys. Another wonderful home was found and they are absolutely adored. If you can help by giving an older golden retriever a home, please do not hesitate to contact any of the committee. All homes are "vetted" thoroughly. Another possibility is to foster a golden until the appropriate home becomes available.